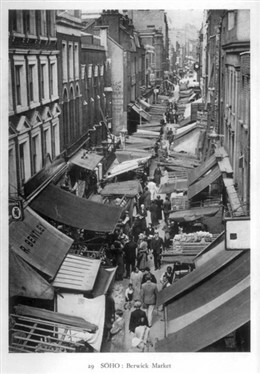 "Berwick Market, Soho, On A Saturday, 1926"
The origins of Berwick Street Market date back to the 18th century when local shopkeepers started to display their goods on the pavement. 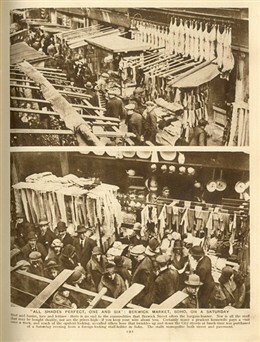 However, it was not until 1892 that it became officially recognised. 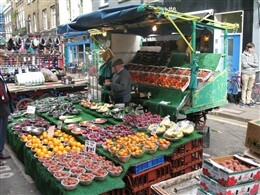 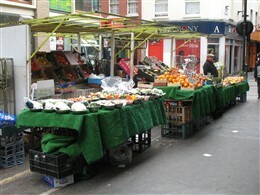 Today the market specialises in fresh produce.